My great-grandfather bought the Kilnsey Estate. He sadly never lived long enough to move here. My grandfather also died young, and so my father inherited it aged about eight. So it’s been in the family since the beginning of the 20th Century. It was about 5-6,000 acres. Now I farm about 1,000 acres. We started the trout farm here in 1978. It was just a tiny little raceway right at the top of the site. A raceway is where you farm your trout, it’s essentially a pen where the water comes in one end and goes out the other. There was nothing else here on the site, except the old generating house. We discovered the quality of the water was ideal for producing trout, so we started selling to the public. The old generating house became our farm shop. We used to sell half a dozen trout in a plastic bag – they weren’t even gutted in those days. And then we grew slowly, and we eventually built this farm shop and restaurant, selling locally-sourced foods. Now we produce about 35 tonnes of rainbow trout a year. This particular area was just a field when we started. I tell the story about when I was still farming and I got an agricultural drainage grant because it was always a very boggy field. We tried to get the field better drained, but it didn’t work. Our next idea was to excavate these two lakes out and open it up as a fishery. So we did all that – it was a huge job – and it worked very well really. Of all the water which comes through the trout farm, the majority of it feeds into the lake. It’s become a very popular spot for people to stop and take photos of the crag. It is part of the Turner Trail – Turner used to do a lot of painting in this area. He was commissioned to do a picture of the crag. No-one’s ever discovered whether he actually completed it, but he did sketches of it – that’s the only evidence they’ve got. The crag was formed during the Ice Age. It’s very unusual because it has this overhang at the top. Of course it’s a Mecca for climbers. Some of these are ‘free climbers’ who use no ropes or pitons at all. Apparently they have to complete it in less than 20 minutes, because after 20 minutes your grip goes. My father once had a sheepdog that fell from the top to the bottom, and we thought, ‘well that’s it’, but it got to the bottom, shook itself and ran off! Just out of sight on the right is the show field that goes right down to Conistone Bridge. We have our annual show there in late August or early September. It gets an attendance of about 14,000 people a year. I suppose the three main features are a drystone walling competition, trotting races on the show field in the evening, and the crag race. They race up the side of the crag, back along the top, and they come down the chimney, through the trees and then out at the bottom there – that’s one of the most hazardous and arduous fell races there is. I’ve lived here all my life, and I just love the landscape. I think the older you get the more you appreciate it. I mean you go up on the hills where some of the views you get are fantastic, and you wouldn’t get them anywhere else in the world. We have a lot of very nice people living up here; the communities are great, and the old farmers are tremendous characters. I suppose everyone likes to think you leave a little bit of a legacy – like the lakes we’ve made – but when you’re standing up there on the hills it makes you realise how transitory we are as human beings, when you compare how long all this has been here in the past, and how long it’s hopefully going to be here in the future. I think part of your brief is to look after it and hand it onto the next person who will responsibly do the same thing. 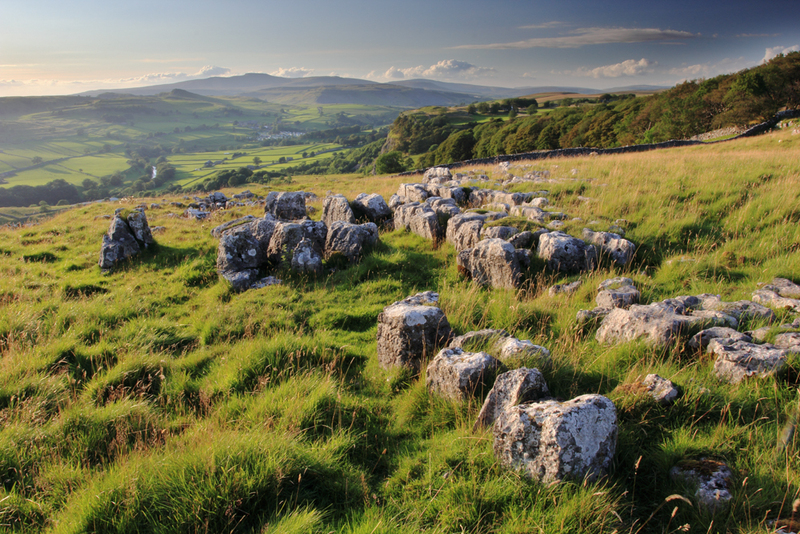 If anyone says ‘show me the Dales’ – this is the place to go. It’s a view from Conistone Pie, which is quite a landmark as you go up the dale. 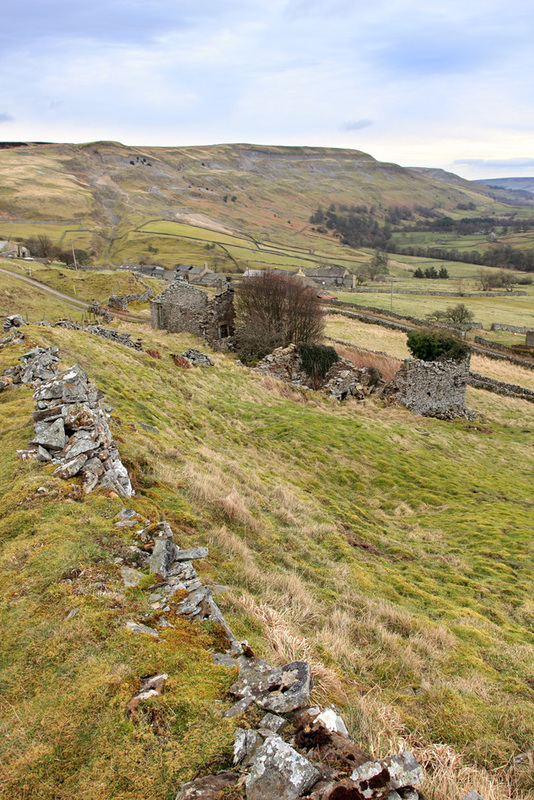 The best way to get there is to walk up the valley from Conistone. Because you’re walking up the valley, the view’s not apparent to you until you get to the top. If you get the right day, it is an enormous view. Here, you’re looking into the heart of the Dales, north towards Kettlewell. 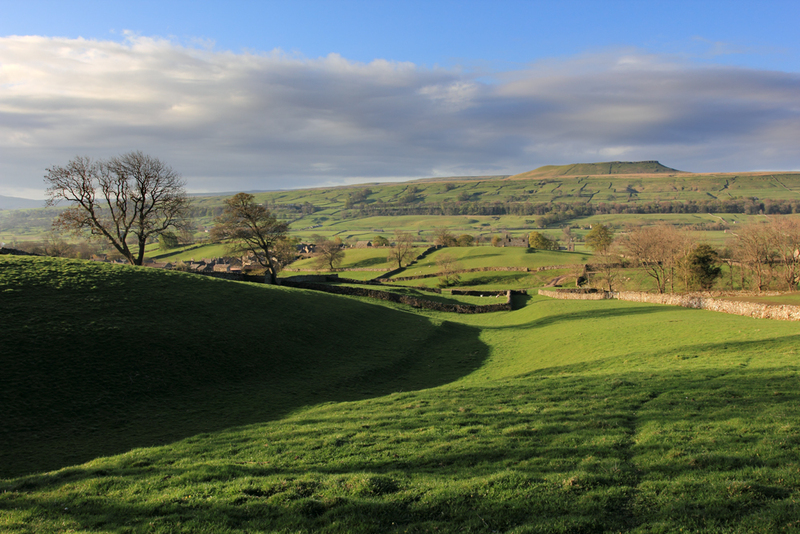 I chose it because it’s got Wharfedale on one side, and Littondale on the other side. They’re both different types of dales, but both very special in terms of woodlands. They also reflect some of the work the Trees and Woodlands Team is trying to do to create woodlands and to protect our important existing woodlands. On the Wharfedale side, you can see how these woodlands run with the contour. You’ve got a river in the bottom, you’ve got enclosed land, followed by woodland, followed by upper allotments, followed by moorlands. That is repeated in a very distinctive fashion all up Wharfedale. Littondale is quite an open dale. It’s not that well covered by trees on the south side, but we’ve done an awful lot of planting on the other side to connect up a lot of the ancient, semi-natural woodlands that are there; they’re the jewels in the woodland crown. Compared to the national average, the tree coverage here is very low. If you take the conifer plantations out, it’s only about 2%. Conifer isn’t natural here. Really we’re famous for hanging ash woodlands. The way the limestone comes to the surface creates a very alkaline soil, which ash love. This whole area, apart from maybe some of the very tops, would have been covered in woodland – we’re talking a long, long time ago. People came here wanting to do farming, then we had the iron smelting, the lime production. That all required wood of some description, whether that’s charcoal, or white coal, or just ordinary wood to burn and build with – so they took wood away. The important ancient semi-natural woods that we have now are the woods that humans have left. The average size of a woodland in the National Park is two hectares, which is tiny really. A two hectare woodland is quite vulnerable. If you were to create another woodland next to it, another one next to that, and connect that to another existing woodland, then that creates a whole woodland, which could be ten hectares in size, which gives it a much more robust feeling. It can deal with pressures on its habitat, on the environment. The pressures have been grazing in the past, but climate change now is turning into quite an issue. I think it’s agreed that climate change is happening, the question is what do we do about it? What do we, as advisers to people who own these woodlands, suggest happens? All you can do is say it’s almost certain there’s going to be a change, and we need to provide woodlands which are more robust. It’s really about trying to create a framework for whatever happens, to help woodlands be more adaptable. A thousand hectares of new native woodland has been planted over the last ten years or so – you’ve got to be proud of that sort of thing. The National Park Authority really didn’t do it by themselves though – they had an awful lot of partners helping to fund it and do it. I think with a lot of people there’s a fundamentally good feeling about walking into a woodland, whether you’re a city person, or wherever you come from. Maybe it makes you feel happier, or more able to cope with life, or more peaceful, but I do get a positive feeling when I walk into a woodland. Other people might get it when they stand on top of a moorland on a summer’s day. I grew up on this farm. Going back when I was younger it was actually three different farms, it’s now just one. I probably took it for granted that I’d farm – I didn’t have a great desire to do a lot else and farming’s sort of bred into you, I think. Our land goes as far as the church, so all this land in the foreground is mine. This field at the front here is called the Giant’s Cradle because of its shape. It’s grazed by cows in the summer. The ones a bit further off are meadow land and are made into hay and silage. Come the spring they can be very colourful with quite a lot of wildflowers in them. I just like the area and how every field’s different; there are no flat fields, they’re all small hills. What’s dominant to Askrigg, wherever you take a picture from, is Addlebrough in the background. It’s not very high, but it stands out and just makes the perfect view across. We’re forever drystone walling. There are bits dropping sort of continually. But these walls have been there 120/150 years, so they’ve done well. It’s just a matter of keeping them there and keeping them tidy. The walls are great in lambing time, because a sheep with young lambs can get behind a wall if the weather’s not at its best; they can get out of the wind and it keeps them dry. That’s Askrigg just on the left. You can’t really see it from a lot of places – it’s in a little valley and very well hidden. Going back, Askrigg is a little bit like Reeth; it’s always been a working village. Years ago, while they used to have the lead mines on the moors, the lead miners would each have two or three fields; they’d keep a few animals and work in the mines at the same time. That’s why round the village there are a lot of small fields. I do quite a lot in the community. 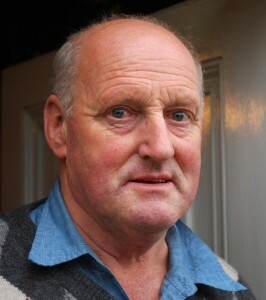 I’m chairman of the Parish Council and various other things. The voting population of the village is 450, so it’s only small, but it’s quite an industrious village – there’s always something going on. My grandparents rented the farm originally. They were cattle dealers. My father did a bit of that, but we went more into the farming and the milk. We milk the cows, but we also bottle all our own milk; we pasteurise and separate it and we retail in Wensleydale and upper Swaledale. We deliver milk to the shops in Reeth and Muker, and some B&Bs in between; then we’ll go down as far as West Burton, and up to Hawes. So we go through some really scenic little villages on our round. Going back a lot of years, every farmer would milk their cows and sell the milk around the village – it’s quite a rarity now. What I like about this type of farming particularly is that the seasons are all so different, and the views are different. Every day with the way the weather and the seasons are – it’s changing all the time. And no matter where you go in the upper dales you have a marvellous view. If you like scenery then there’s no better place to be than in the Dales. For me, this is me coming home, along the road out of Middleham up to the Gallops. When you look around you get a contrast of different scenery straight away. You’ve got Pinker’s Pond down to one side of you; you’ve got these big hills in the distance; you’ve got Braithwaite Hall there. You’re entering Coverdale. You’re entering the National Park, which of course is a special place to many of us. This picture gives the impression it’s quite flat, but you are entering a proper glacial valley. Each of the dales has their own distinctive shape, determined by the kind of glacier that was in there: so Swaledale with that narrow V-shape; Wensleydale with that huge U-shape. Coverdale’s something in between. It’s less well known than the other dales, and is less commercialised if you will, but it’s just as beautiful as any of the dales. It was known as the artists’ dale because of the light; Turner painted in Coverdale a lot. We’re looking towards the farm that has been my home for 20 years now. I’ve spent more years living here than anywhere else in my life. Although some people say it’s very remote, it’s not actually remote. Everything’s relative; this is just a few more minutes away from metropolises. We used to have quite a big flock of sheep, relatively speaking. My wife died three years ago so I now rent quite a bit of the land out, but I still have enough sheep to keep me busy. I didn’t grow up on a farm, but I always had a love of animals, which the James Herriot books helped cement. 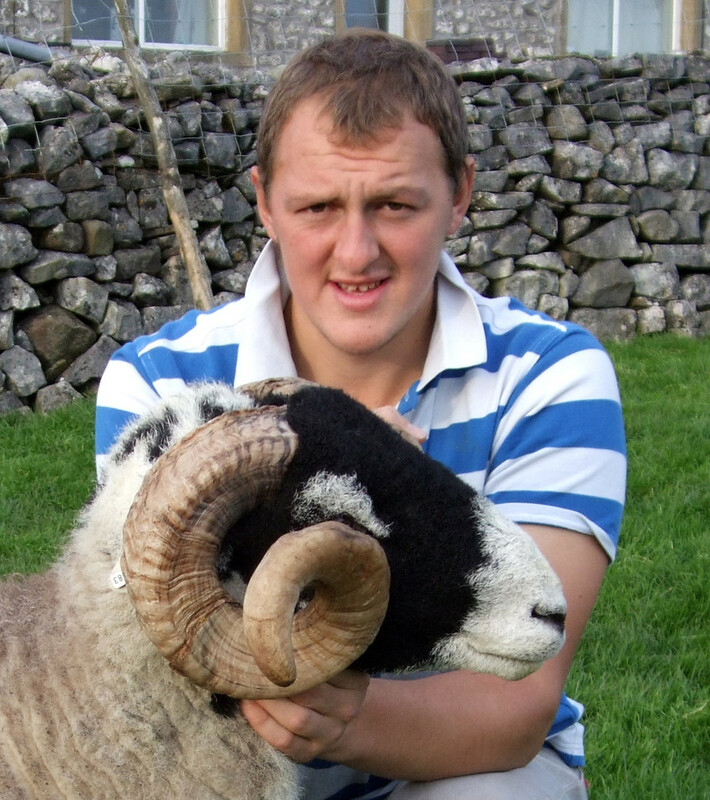 I think there are probably two things you would want to do as a Yorkshire man if you could: one is to play cricket for the county, the other is to have sheep in Yorkshire. I’ve been lucky enough to do one of those. Next year I start as President of the Scarborough cricket festival, but my cricket-playing days are probably not really going to happen now. The sheep soon bring you back down to earth. They are not interested in what you’ve done in your corporate life; not interested in who you’ve had meetings with or how the meetings have gone. They’re completely classless, and they will stand on your foot regardless of how successful a week, day, month, year you think you’ve had. The farm is where I can maintain my sanity. I think as a farmer you’ve always got that awareness of your fragility and your reliance upon the weather and the landscape and the elements, and the respect you need to have for them. So I’ve always had that – I hope. 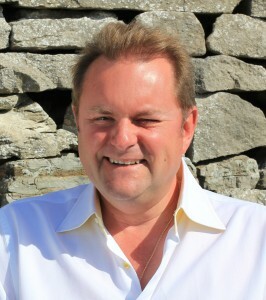 I’ve been the Chief Executive at Welcome to Yorkshire since September 2008. I lead this team, and hopefully help corral and cajole and inspire them to do the great work that they do. We look to grow the Yorkshire economy, primarily through tourism, but not exclusively. I like the variation of the job. We meet so many great people from different businesses from all across Yorkshire. I get to travel around the great county of Yorkshire. We get to do wonderful projects like bringing the start of the Tour de France to Yorkshire. It’s not a difficult ask is it? If you ask a Yorkshire man does he want to be responsible for marketing Yorkshire, and salesman chief for Yorkshire? It’s one of the greatest honours you could be offered. 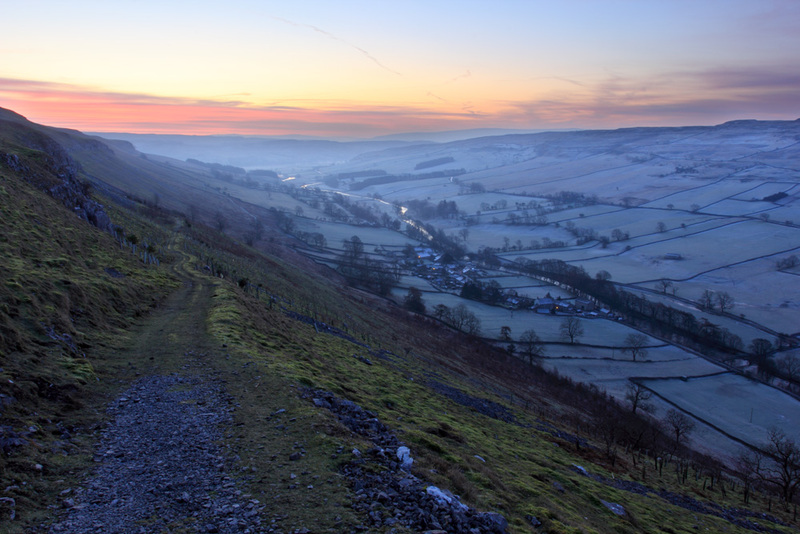 We’re very lucky in Yorkshire – we’ve three National Parks and they’re all different and very distinctive. We have three Areas of Outstanding Natural Beauty too, and they’re all distinctive. We have a stunning coastline. All of those things added together mean that we are very blessed. You can see why people call it God’s own county. There’s atmosphere when you’re in the Yorkshire Dales National Park. Whatever time of year, whatever time of day, there’s always something very special there. I think it’s very spiritual. There’s an authenticity about it – you know you’re in a very real place. This is one of my favourite views, coming down off Booze Fell on a walk that I’ve done quite often. I like the mix; it’s very scenic but there’s a lot of industry in there. Booze is a fabulous name. It’s alleged to have an old English origin, but I wonder if it might be a corruption of Boose or Bouse, which is a term that’s used for lead ore.
Arkengarthdale is one of the most historically industrialised parts of the National Park. Most people don’t think of it as an industrialised landscape at all, but it’s as industrial as places like the Nottinghamshire coal fields, or some of the slate mining landscapes in Wales. There was large scale intense lead mining over much of the higher ground. The bit at the top of the photo is Fremington Edge. The pink colour is the colour of the waste materials from the ore processing. That big gulley is entirely manmade; it’s called Fell End Hush. Hushing is a way of mining; a kind of open casting. Originally there might have been lines of mine shafts down there, but after a while going down in little shafts becomes impractical, and it’s actually easier to open cast. They used torrents of water to wash away all of the top soil. If you had enough water you could actually use it to help move rock. Eventually, over hundreds of years, this huge scar through the landscape formed. The really intensive mining was happening in the 18th and 19th centuries, but it was going on for a long time before that, probably back into the medieval period, possibly during the Roman period. In the 1880s the mines here were undercut by foreign imports of lead. Overnight the industry almost stopped, and the population effectively halved in places like Swaledale and Arkengarthdale, which is why buildings like the one you can see here became redundant. People have different views of dereliction in the landscape. Being an archaeologist I quite like it, but to other people it could be really unsightly. To me it’s fascinating – we’ve got hundreds of years of history, and an amazing amount of labour embodied in the landscape, but to other people it’s just industrial waste. It’s a great shot, but it’s not quite so revealing in terms of field patterns. They’re very topographically determined, because you’ve got quite limited land that’s any good. The villages tend to be located near the good ground. There’s no arable farming here now, but there would have been tonnes of it in medieval times. You can still see terraces near some villages, which were cultivated for planting, and ridge and furrow patterns in some of the fields. There’s an awful lot of prehistory in the area. On top of Fremington Edge there are things called ring cairns, which are about 20 or 30 foot across. They’re kind of slight, just a ring of stones. Somewhere in the middle of them, underground, there’ll be a hole with a cremation urn. They’re basically the predecessor of barrows (burial mounds). These would be from the Early Bronze Age. I provide advice to farmers, land managers, land owners and organisations on how to look after archaeological features in the landscape: how to manage them well, or manage them better, and how to avoid damaging them. It involves making decisions about what you value about the past. We’re interested in managing anything that’s basically redundant and has some historic interest, from really obscure stuff – like ancient tree remains at the base of the peat that will go back 8,000 years – to things as recent as the Second World War. It’s about finding ways to keep the past surviving wherever we can, and to do that in a way that accepts that people have to make a living, and manage a landscape. It’s very much a balancing act. It’s timeless is that view; absolutely bleakly beautiful. It’s the only place in the Howgill Fells where you really feel like the Ice Age made any impact, because it’s the only place where you’ve got the U-shaped valley gouged out; everywhere else is rounded and soft. It just creates this absolute drama. And it’s higher than it looks here, when you’re up there you feel like you’re on the top of the world. It’s so special because Rough Fell sheep graze here – that’s the breed of sheep I keep. My grandfather would always say ‘there are no flowers in the Howgill Fells, but the flowers of the fellside are the sheep’. They were originally bred for wool. They’re larger sheep, long legged, with beautiful temperaments. Also my fell pony stallion came from Cautley Crag; he would have grazed on here. At the bottom of Cautley Crag here there’s a small Temperance Inn – The Cross Keys. My grandparents lived at the foot of the Howgills and, before they were married, Granddad invited Grandma for a walk across the Howgills. So Grandma would have stood here looking at the view and thought how beautiful it was. They walked down the valley bottom here, went into The Cross Keys, had ham and eggs and he asked her to marry him. 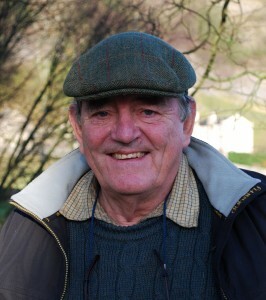 I was born in Sedbergh at the foot of the Howgills on a family farm. When I was 16 I left home and travelled. I didn’t think I wanted anything to do with it because it was hard work. But when I was in my late 20s I suddenly wanted to return to the land, and so I came back. I came here with £60 and nothing else; I was a month off having Scarlet, my daughter. It’s a really hard living to make. I know some people think it’s being a bit dramatic, but it is kind of tough. There have been a couple of times when I could have just given the farm up, thinking ‘this is crazy’. But it’s the life I’ve always wanted. It’s kind of like you’re born to it. I love the land, and animals, and I wanted to give Scarlet the life I had – to give her that freedom, and those choices, and to grow up in a beautiful place that’s very safe. We thought we were doing OK, and then Foot and Mouth came and wiped everything clean, and we had no money. It was horrendous. I kind of felt that a lot of it was my fault – because I’d wanted the farm and a lot of people had said financially it wasn’t a good idea. So then I thought – ‘what else can I do?’ I like walking and I like people, so I trained to be a walking guide. The idea was just to do a few walks from the farm – to sell the view. I won a competition with Country Living Magazine with this whole concept of a farm holiday and got some PR through that. Six months after that people came here from The Independent, The Daily Telegraph, lots of glossy magazines, and then the holidays started to sell. It went really well. 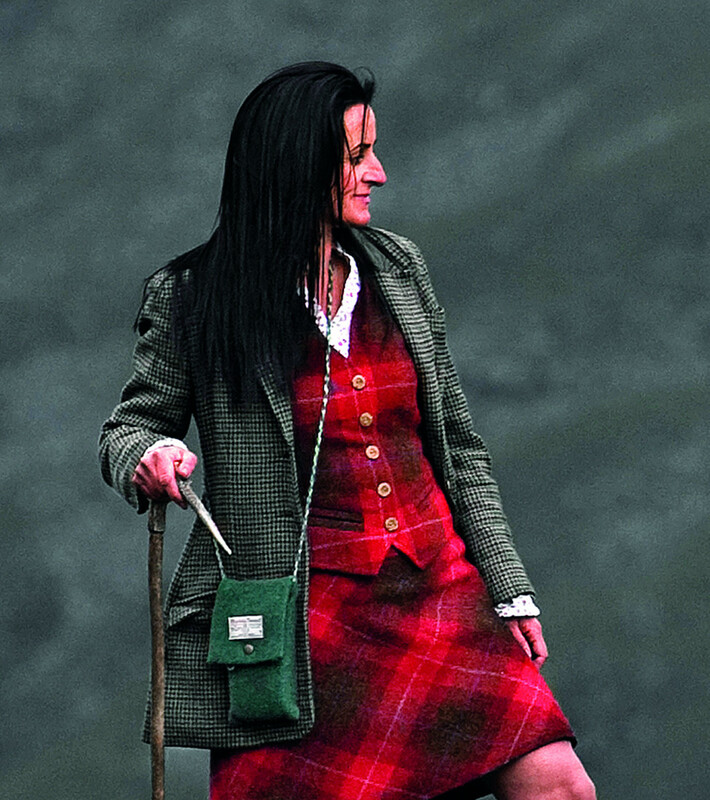 Then I started getting calls from ladies who wanted to buy the clothes I was wearing in the pictures – which seemed crazy – so then I decided to make up some skirts and waistcoats using tweed. I now have a factory make them for me. I still do the walks, and I do the tweed, and I go and give talks. I still farm – my sister and other members of the family come and help out. I have 250 of my own sheep, but I shepherd others. We call it stick and dog gathering – that’s what I do. I don’t have a quad bike; I have a fell pony and try and do it in the old fashioned way, just walking the hill looking at the sheep. Most people don’t have time for that, but it’s kind of how I was brought up. I do talks for all kinds of groups – farmers’ groups, landowners, WI – and I have so many letters from people that say I’ve inspired them to go back to the land: to start working on the land again, to get businesses going. People think you need money but then realise it’s more about passion. My granddad always said that what was important was having that land beneath your feet, and having a view, and knowing it was yours. Of course we never really truly own anything; it’s all kind of everybody’s. I really do live off the view though. If I didn’t have a view I wouldn’t have a business. This is Lower Littondale. It’s just above the village of Hawkswick, on Hawkswick Moor, looking back down towards Cracoe Fell and the bottom end of Wharfedale. I chose it because a lot of my work’s based round here, and it is a cracking view. Wherever you look there, we’ve worked: we’ve drystone walled, we’ve planted trees. We make up all the walls in that area. So if a gap falls, we go to it. There’s a drystone wall, just down here near the river, that we restored. It was a 120 metre stretch that needed completely rebuilding. It’s part of an ongoing restoration programme that the local farmer’s doing. I’ve said many times that the drystone walls are like a jewel in the National Park’s crown – they’ve got to be maintained. These walls, because they’re dry, they do move. You’ve got your dry weather and your wet weather and your frost and your snow, and unless they’re maintained, eventually they become very loose. It gets to a point when it’s easier to pull it all out and rebuild it from scratch – that’s what we did with this wall here. It took us about 22 days. When you pull an old existing wall, you’ve got all the materials there, because it’s been built before. It’s a little bit like a jigsaw, you’ve got to have an eye for it. When you rebuild it you rebuild it in your own style, so you may put some stones in differently than the chaps before you. We often remark on how the old guys would have done it, as we’re building these walls. These walls are dug out and then built with an A frame. You start with your big stones at the bottom – your footings – and then you slowly build up and finish with your small stones at the top. You need two or three rows of what we call throughs, which are stones that go right through and connect each side. And then, in all of it, you’ve got your filling – you pack the wall to make it strong. I come from a farming background. It’s not just working with livestock on a Dales farm, a lot of it is building walls and hedging and fencing; that’s the part that I’ve taken on into my landscaping work. I was taught to wall by someone, but I was often sent off on my own. I think the first wall I put up fell down, twice. And the third time I remember thinking, ‘I’m not going to go back again, this is it now’ – that was a good learning curve. I love my work. It’s satisfying to create out of natural things. I look upon it as an extension of a lot of the skills that I learnt on the farm in Sedbergh. There’s no place like the Yorkshire Dales anywhere in the world. When you go travelling anywhere, the best thing about it is coming back – a lot of local people tell you that. 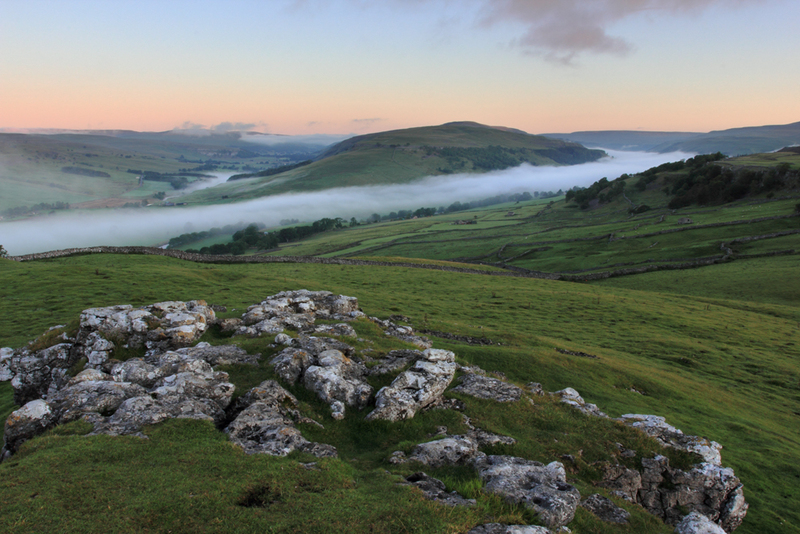 You can never beat that feeling you get when you come past Kilnsey Crag and turn into Littondale, it’s a special place. 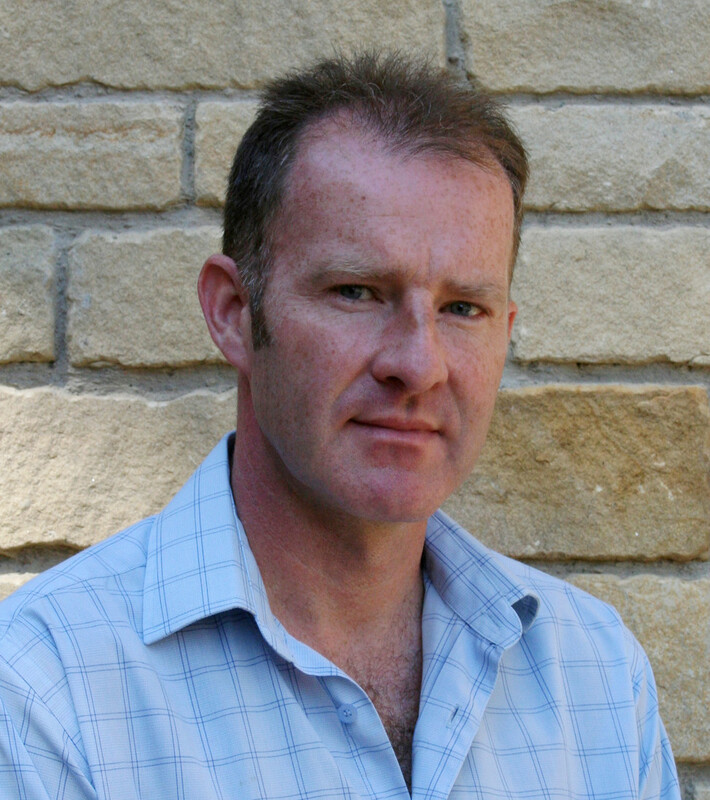 My connection with the Dales, and Ribblesdale in particular, goes back many years. Growing up as a southern lad, we used to come on family holidays to the Dales. In later years I studied geology and geography and grew to understand the landscape and the factors that shape it. I was attracted north to Sheffield University, which was the first time I lived in Yorkshire. In the first week at Sheffield I went on a trip with the Caving Society, which on reflection was a fairly terrifying experience. We stayed in the caving club building in Horton-in-Ribblesdale; so that was my first real taste of the Dales, crawling around underground! A year later I came as a budding geologist to Horton, training to map the local rocks. Those were great experiences with friends; out exploring the landscape, learning how to measure, understand and read it – combined with work for the pub landlord, helping on his farm stacking straw for the winter and having a lot of fun. That week left a real impression on me, an incredibly positive one. Over the following years there were coincidences that brought me back here: wandering across Malham Moor and visiting Tarn House; hitch hiking from the Lake District through Settle and over Buckhaw Brow, before the by-pass was built, and seeing the view of Giggleswick Scar and Settle. All these memories were steadily building up a connection with the place. Life then took me all over the world in environmental education and adventuring: to South Devon, Asia, the Antipodes and then to South Africa. In 1997, I landed a post with the Field Studies Council at Malham Tarn Field Centre. I’ve lived in Ribblesdale ever since, only a few miles south from that experience I had as a young geology student. 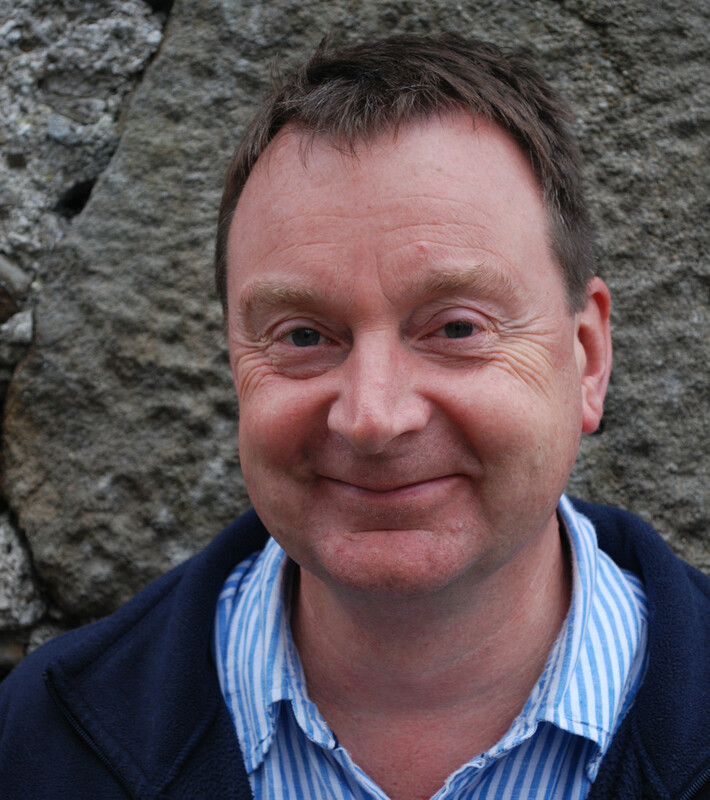 I spent five years working at Malham Tarn and I must have travelled up and down the hill to Langcliffe Brow en route to Malham with thousands of students, colleagues and friends. I would often stop and get them to sit on the limestone and take in this view. For me it’s the richness of the dale in terms of the human activity that’s shaped how it looks. It’s not a pristine one by any stretch of the imagination, but for a geographer that’s all part of the rich tapestry that makes up a view. 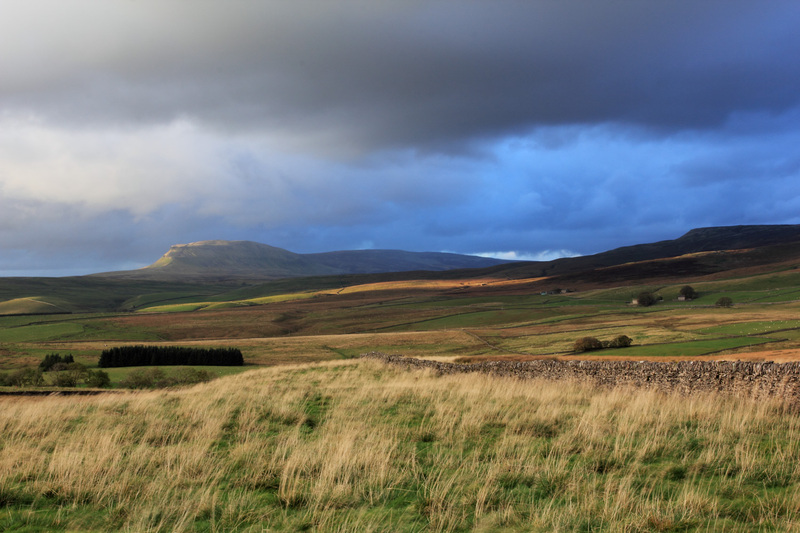 In the backdrop there are the Three Peaks and in particular the massif of Ingleborough. There is the quarried landscape at Helwith Bridge with the striking exposures of gritstone and limestone. 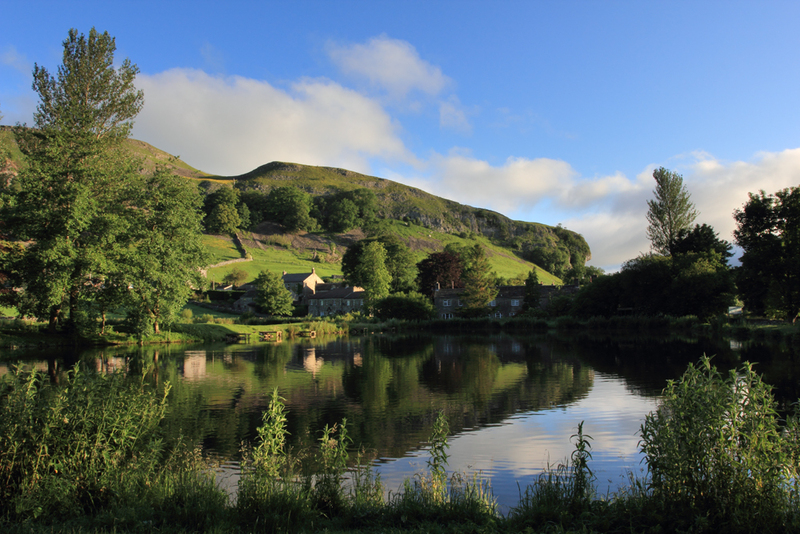 The caravan site in Little Stainforth marks the importance of visitors to the area’s economy. The River Ribble, the wonderful limestone terraces, meadows and field patterns, field barns and walls, the winding Settle-Carlisle railway, the pockets of woodland and the glaciated faults at Stainforth Scar. This view is constantly changing throughout the year and is something I have got strongly attached to. 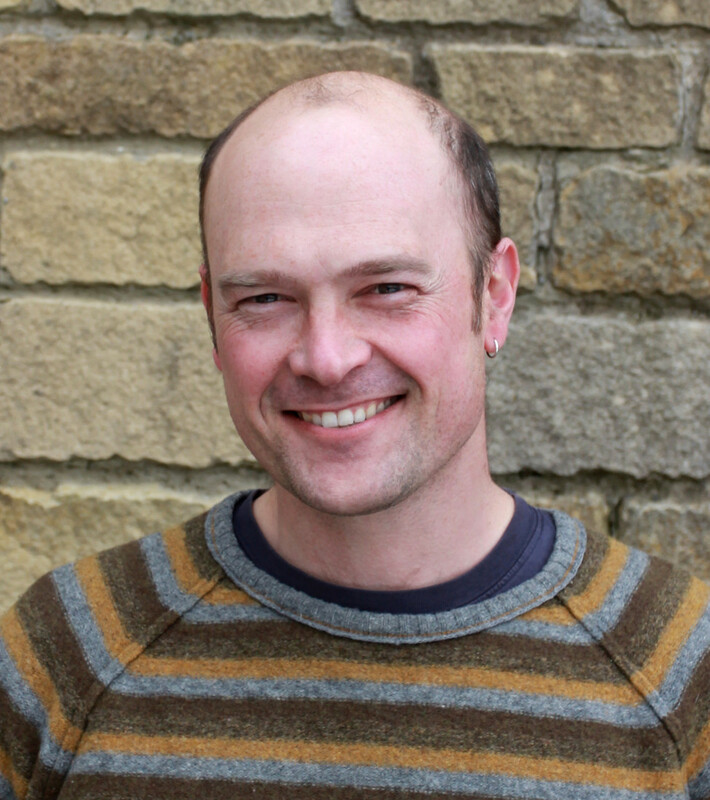 I have worked at the Yorkshire Dales Millennium Trust for 11 years which has enabled me to widen my involvement in the Dales. We have developed a very successful outreach, training and education programme which has supported a broad range of people to come and enjoy and understand the landscape. My work also involves developing practical conservation work. It is a true privilege to be in a place I love, able to shape and support how it might evolve in decades to come with a group of wonderful, dedicated, passionate, inspiring people. 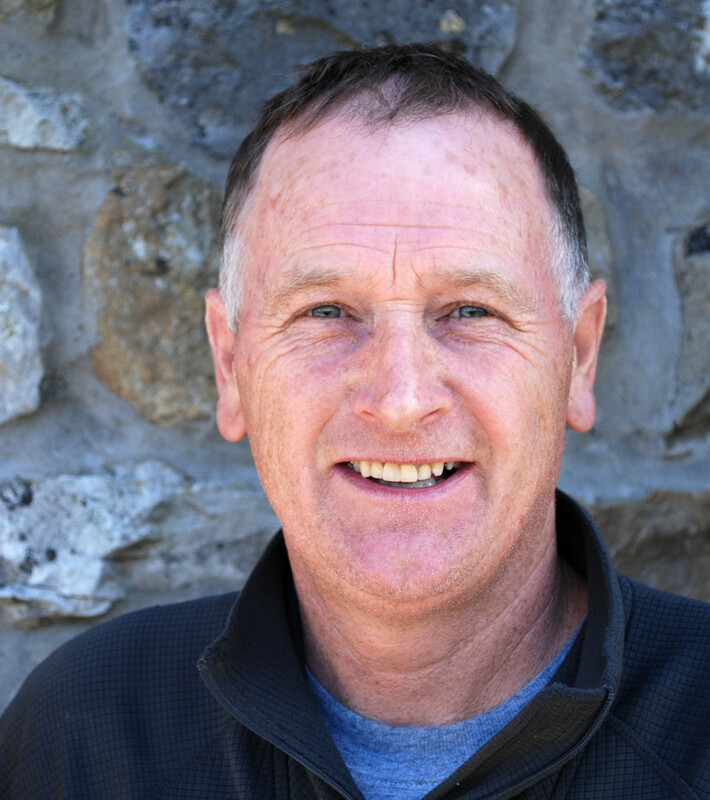 I was lucky enough to have those formative experiences as a young person – I had great teachers and people who really inspired and excited me to find out why the landscape looks like it does. Those are magic moments in life – the sparks – which have led to a lifetime of fulfilment and enjoyment. Now I’m in a position where I think, ‘great, I can create those sparks for other people’. They don’t all catch fire, but some of them will. No matter how good a photographer is, they can’t really capture the essence of ‘place’. You really need to be there to appreciate it. It’s a whole landscape experience. I picked this view because it’s unusual in Dales’ landscape terms. It represents a different kind of landscape, in the north of the Park. I also picked it because of its political significance. 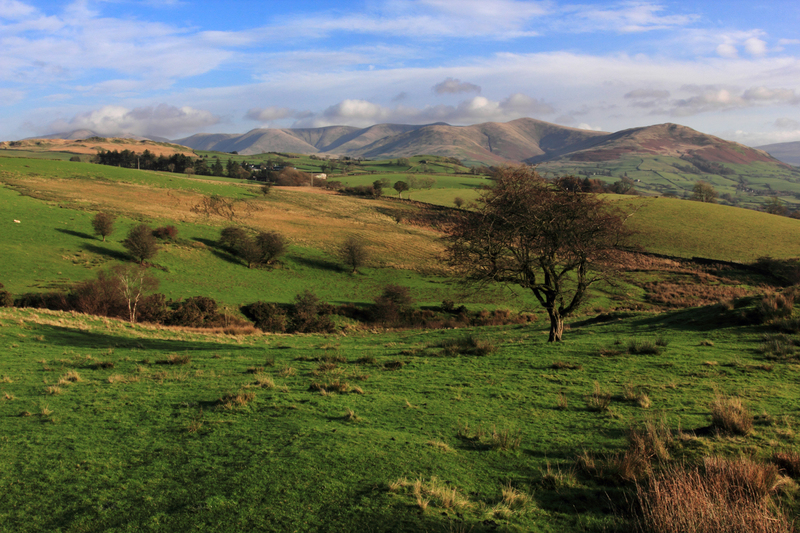 The current boundary of the Park goes right along the top of the Howgills. So you can stand at the highest point – on the Calf – with one foot in and one foot out of the Park, thinking, what’s this all about? It represents for me man’s stupidity about designating landscapes on political, administrative, or bureaucratic boundaries, rather than for the value of the landscape itself. That particular boundary was designated in 1954; it’s the boundary between Westmoreland and the West Riding, as was. And here we are in 2013, and we’re just about, hopefully, to sort out that unfinished business and designate the whole of the Howgills. For me, that would be a fantastic professional achievement. 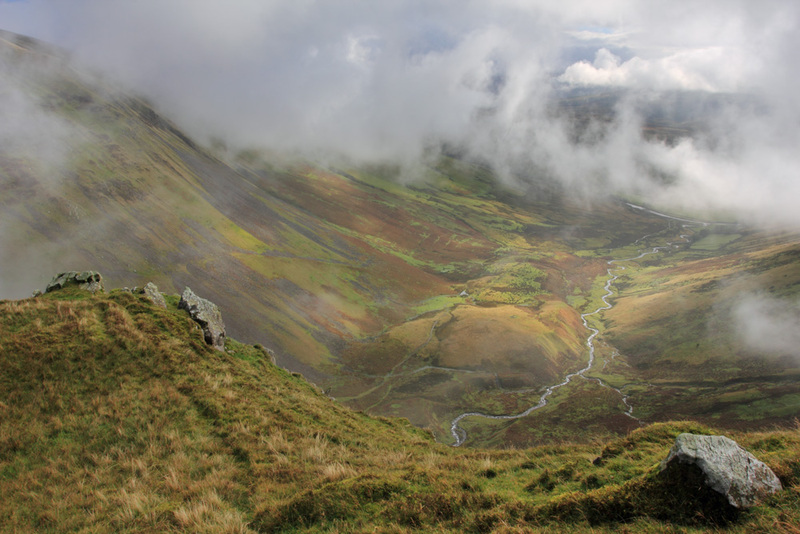 Natural England have been carrying out a review of the boundaries of the Yorkshire Dales and the Lake District for about two and a half years, or for 54 years, depending on how far you take it back! We expect a decision by the end of 2013. It’s a big deal. It would make the Park about 25% bigger – a substantial increase in landscape. I walk in that area quite a bit. The Park is 680 square miles, but finding solitude and feeling that sense of isolation and the spiritual feeling you get with that, is very difficult. You get it in the Howgills in a way you don’t get it in other areas. If you’re in that particular landscape for any length of time it is like a spiritual experience. The most amazing thing is the contrast between this sense of isolation and the fact that the M6 and the West Coast Mainline is half a mile away from you. You get these massive infrastructure projects cutting right through the middle of that landscape. You get all that traffic noise and the noise of the railway and then you turn a corner and you can’t hear a thing. To be in a National Park and see these huge projects is quite bizarre, but I love it. I think buildings or structures like railway viaducts can have a hugely positive impact in many cases. Whenever they’re first put there there’s an absolute hue and cry, but they become such a significant part of any landscape. What it shows for me is the interaction between man and the landscape, which is just brilliant, assuming we don’t bugger it up and build inappropriate structures! 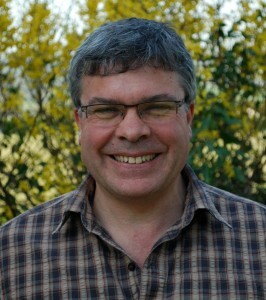 I’ve worked in the Park since 1991, and been Chief Executive since 2001. I’m not a planner or an -ologist, I’m not from that kind of background. My skills, for what they are, and my experience as a Chief Executive, are in terms of driving performance through the organisation. So the things I’m most proud of are the collective things: the fact that the performance of this National Park Authority is as high as any in the UK. Every year we sweep a load of awards for what we do both inside and outside of the Authority; for work on the Limestone Country Project, for major construction projects, for low carbon emissions. When I see the performance across the organisation, and see how that motivates people, particularly at this difficult time (because we’ve lost so many staff with the recent cut backs) that’s what I’m really proud of.